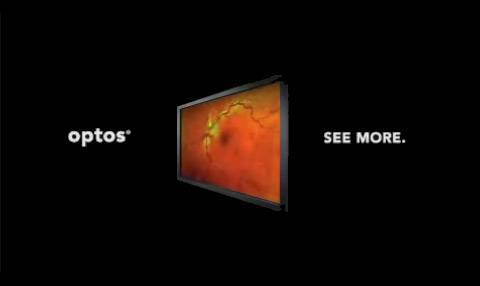 The Optos is an ultra-widefiled retinal imaging device which takes pictures that are used to assist in detecting and diagnosing systemic disease that may first present in the periphery. Conditions that would have previously gone undetected using traditional examination techniques and equipment can now be detected at a very early stage and a course of treatment initiated. The Optos Daytona offers a comprehensive view of up to 82% of the retina in one image, giving practitioners an opportunity to identify and follow peripheral pathology as well as central pole abnormalities. By comparison, traditional retinal exams only allow the inspection of a small portion of the retina at one time. 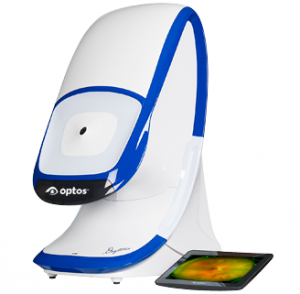 The optomap has been used successfully to detect melanoma,glaucoma, macular degeneration and plays an integral role in diagnosis of retinitis pigmentosa and retinal detachment in patients as well as other difficult to assess retinal and systemic body conditions.